Ever remembered travelling from one galli(lane) to another for buying your Lehenga or Chudidar (Indian dress) with your mom in hot summer afternoon. Be it Mumbai, be it Jaipur or be it Delhi my mom never failed to quench my thirst with this amazing chhach / lassi(buttermilk) .In India however it’s easily available in every hook and nook. But after reading this easy recipe it will be available in your fridge too. So what do you do,when you have almost a bowl of (mint/coriander dip) chutney left from the previous day. In India it stales in 2-3 days. So instead of throwing away, I put it in a ziplock and preserve it in my freezer. I used the same dip for preparing my masala chhach, and the taste was just as awesome as I made from fresh green cilantro,mint n green chillies..
1. 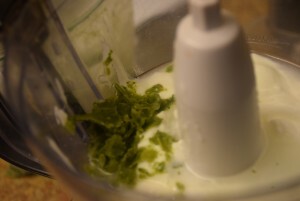 In this method, we will add simply curd, frozen chutney ,some salt, black pepper and water in a mixer/blender/chopper. 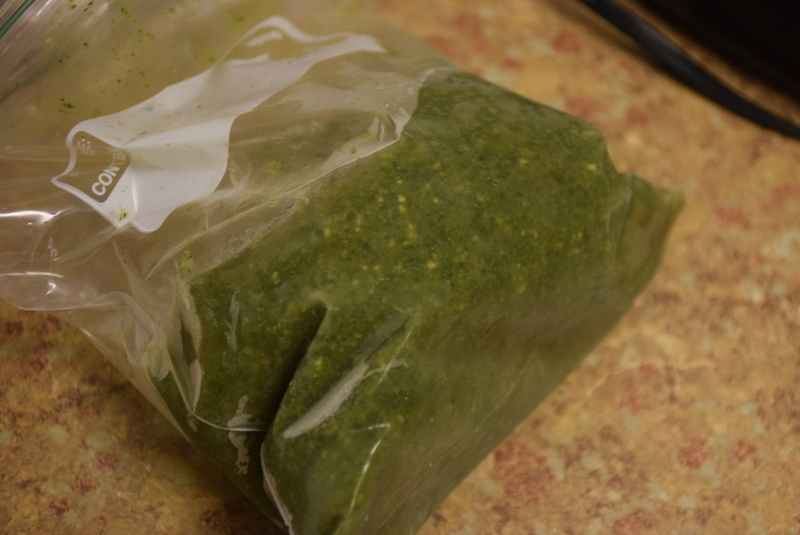 Don’t add too much water because the frozen chutney also contains some water.Since I freeze it in ziplock I have to break it with rolling pin on a paper towel.Its always good to freeze it in ice-cube tray and then transfer it in ziplock bags later on. 2. Pulse the grinder and mix well all the above ingredients. 3. Garnish it with dried mint leaves and fresh cilantro. or serve it as it is. 1. If we don’t have home-made chutney already prepared , then add 1/2 cup of fresh cilantro leaves and 1 tbsp of fresh mint leaves, 1/2 greeen chilli , salt, black pepper, chaat masala together with curd and water. 2. Blend all of them together till they are blended in one consistency. 3. Rerigerate it and serve chilled or at room temperature. Enjoy !! 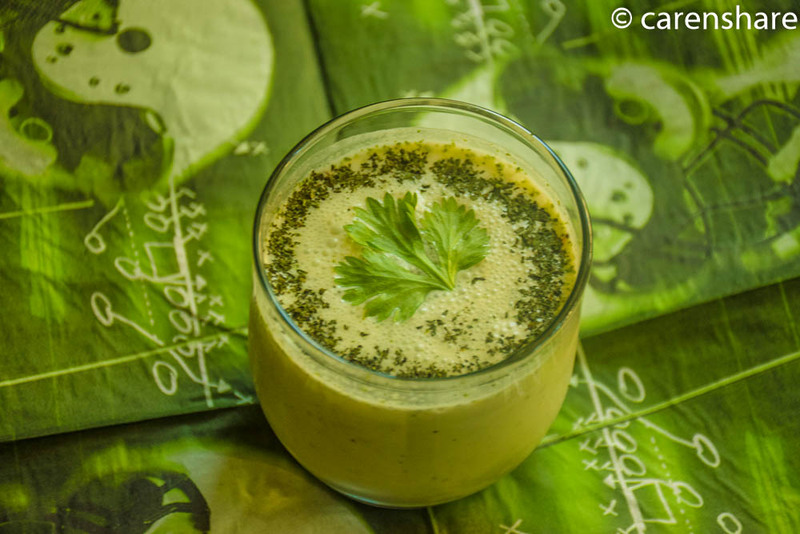 This Chhaach is not only good for your tongue but for your stomach as well. It is easily digestible and a good enrgy drink!! 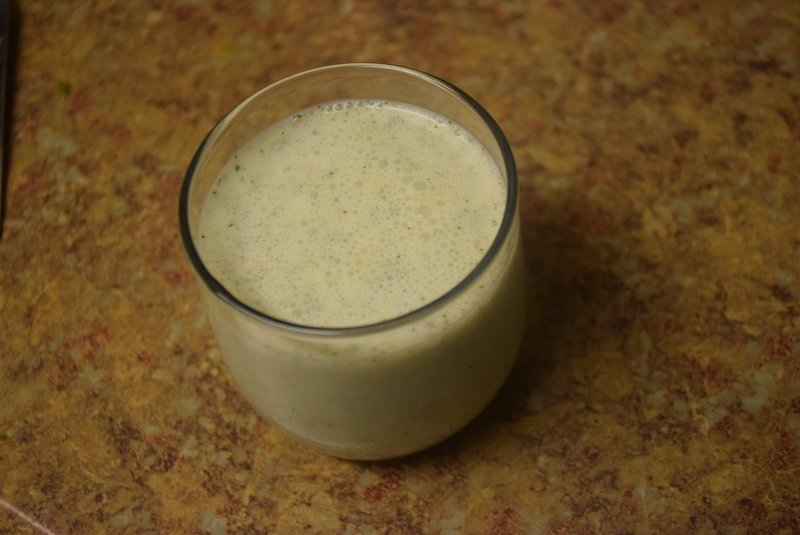 This entry was posted in Drinks, Food, Recipes and tagged afternoon, buttermilk, Chhach, chhaz, cilantro, dhaniya, lassi, masala, mint, mirch, pudhina, summer, thandi.